Can you write 12 poems in 12 months? Yesterday, I wrote about why you should write poetry. I hope that I have convinced you that writing poems is a worthwhile pursuit. Today, we’re introducing our 12 poems challenge. It would be awesome if you would like to join us for this new adventure. 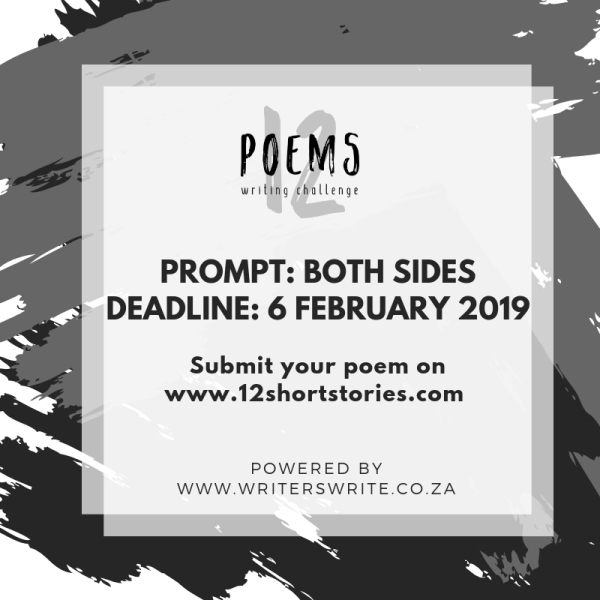 We’ve been having so much fun writing 12 shorts stories and it seems the writers want to do even more so we are adding a poetry challenge. You may be a first-time scribbler of words or a poet laureate, but everyone can benefit from a deadline and some feedback, right? There will be a deadline every four weeks. 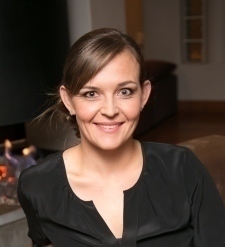 You post your poem on the site and read and comment on four other poems. The goal is to have 12 poems at the end of 12 months. The prompts will vary. A lot. Sometimes there will be more restrictions and sometimes none. Please remember: This is not a competition. It’s about discipline, productivity, and learning. Not all our poems will be great, but they will, at least, be written. 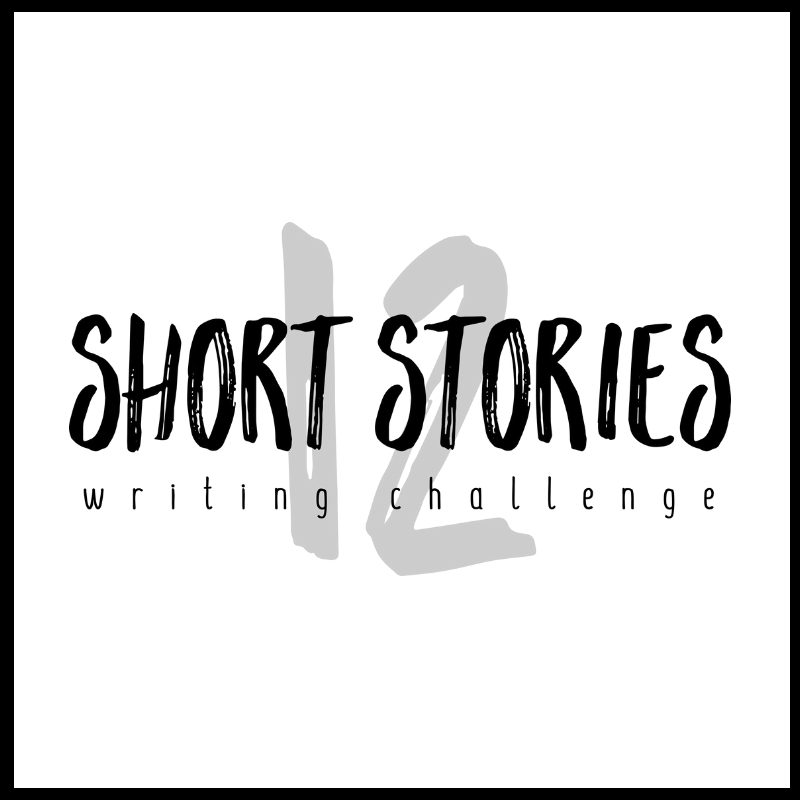 If you are already participating in the short story challenge you will need to create a new profile for the poems, with a different email address. Write and submit your poem on the day of the deadline. Comment on four other poems. 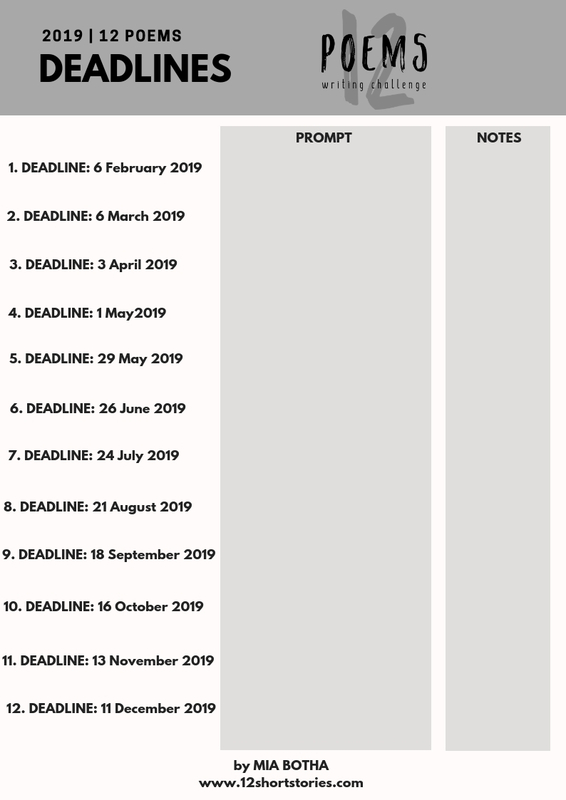 Poetry Deadline: 6 February 2019. Please read and follow the submission guidelines. Some competition rules state that poems must be ‘previously unpublished’. Don’t share your poem if you do not want it published or if you are planning on using it for a competition or publication. You publish on the site at your own risk. I have also created a list of the deadlines for you to note in your calendars. Use it to complete the list as the prompts are published. Let’s write 12 poems in 12 months. P.S. Look out for the Poems Challenge tag on our website to read more about the craft of poetry.